Ryno Lawn Care provides top quality sod grass installations in Corinth, Texas and surrounding areas. 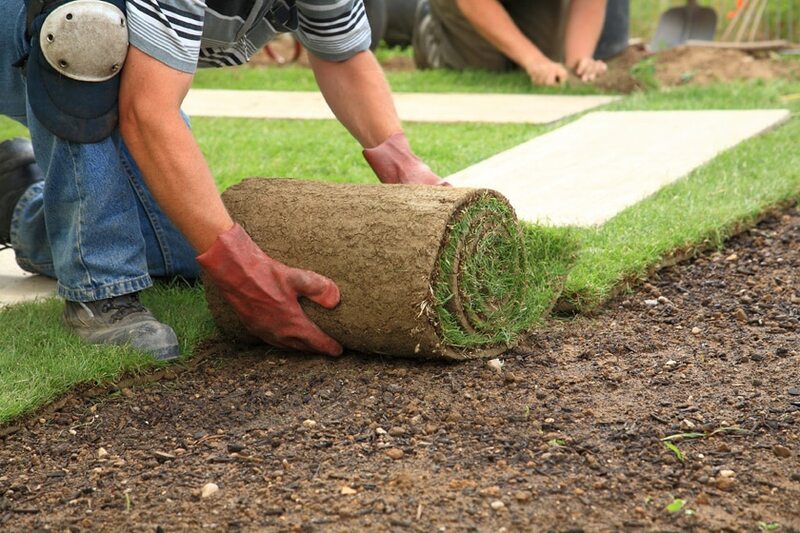 An expert sod installer will examine your premises and review your options with you. Once you have made your choice of sod type, you will be provided with a clear and detailed estimate of the cost of sod installation. We’ll set a time and date and appear promptly to install your sod using skilled methods that ensure success. After installation, we inspect all sprinkler heads to be sure they are operating correctly. If any sprinkler heads are damaged, we replace them. Your expert Ryno Lawn Care, LLC sod installer will go over watering procedures with you. Bermuda – A drought tolerant grass, that does well in warmer climates. Does require full sun. Saint Augustine – A hardy grass that grows well in warmer climates, and does grow well in partial shade. Zoysia – This well adapted grass does grow well in all soil types and is also drought tolerant.